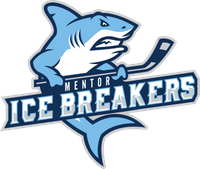 The Mentor Ice Breakers battle the Elmira Enforcers this weekend in another three-in-three weekend series. After Friday and Saturday’s games at First Arena in Elmira, New York, the two clubs will travel to Northeast Ohio for the third and final contest on Sunday afternoon at Mentor Civic Ice Arena. 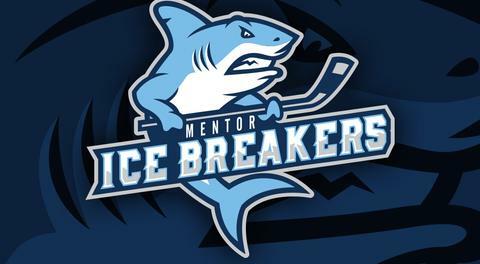 The Mentor Ice Breakers will be looking for their first-ever victory over the Elmira Enforcers this weekend in a three-game series. For whatever reason, the Ice Breakers have been unable to challenge the Enforcers on most nights and have dropped all six of their games against Elmira. Mentor has beaten every other team in the FHL, including multiple wins over the league-leading Carolina Thunderbirds, but it hasn’t been able to find the win column against a talented Elmira club. Forward Parker Moskal will be playing in his first game against the Enforcers since the team traded him to the Ice Breakers in late February. Moskal has been a major offensive contributor since coming to Mentor with seven goals and 11 assists for a total of 18 points over 12 appearances. The 21-year-old Moskal scored in his lone appearance with Elmira on November 8 before suffering an injury. Ice Breakers defenseman Joe Swenson and goaltender Derek Moser both broke into the pro ranks with the Enforcers earlier this season, but neither spent a significant amount of time in upstate New York. 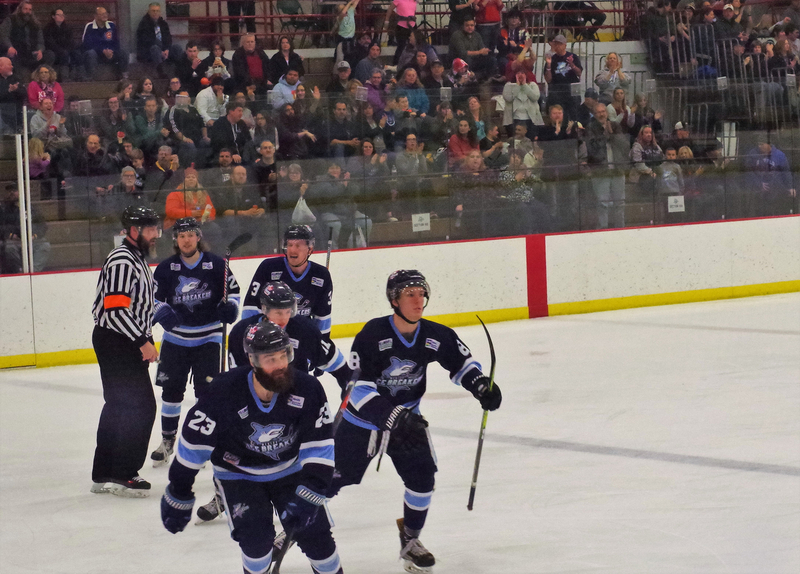 Swenson scored against his former club in Mentor’s 5-4 overtime loss on the road against the Enforcers back on January 5. Leading scorer Mark Essery made his presence felt in his return from a three-game suspension last Sunday, racking up five points with a goal and four helpers in the Ice Breakers’ 6-3 road win over the Port Huron Prowlers. That victory salvaged what had otherwise been a forgettable weekend. Tommy Mahoney, who set off the Ice Breakers’ inaugural teddy bear toss with his first-period goal on Saturday night, will look to continue his recent success and extend his two-game goal streak. Mahoney has a 10-21-31 scoring line. Another Ice Breaker to watch is Matt Kadolph, who has been a consistent force throughout the year. Kadolph has six points in his last three games with three goals and three assists, and 30 total points (16-14-30) on the season. He’s the Ice Breakers’ second-leading goal-scorer and is plus-9 on the season. Plus-minus isn’t the most telling stat in hockey, but holding a positive rating on a club with a minus-80 goal differential is quite impressive and a testament to the effectiveness lines featuring Kadolph have shown throughout the year. Goaltender Derek Moser had a couple of rough outings on Friday and Saturday, but he rebounded nicely by stopping 39 of 42 shots last Sunday afternoon. Hopefully, Moser will be able to carry momentum from his quality start over to this weekend’s games. John Sellie-Hanson was out of the Ice Breakers lineup with an injury, forcing emergency netminder Joel Eisenhower into a backup role. The Ice Breakers will play only their third home game against Elmira on Sunday. Mentor has hosted Watertown seven times and Danville and Port Huron fives times each, so it will be nice to see some new faces at Mentor Civic Ice Arena. The Ice Breakers have officially been eliminated from playoff contention, but players still have plenty to work for as every game is a tryout for a roster spot next season. The Enforcers have added depth up and down their roster throughout the year, but they have yet to figure out how to consistently take down first-place Carolina. Anything can happen in the playoffs, but right now the Thunderbirds are the heavy favorites to take home the Commissioner’s Cup in a few weeks’ time. Elmira dropped a pair of road games against Carolina last weekend and was outscored 8-2 in the process. Since posting a 3-2 win over the T-Birds on February 24, the Enforcers have lost five straight games against Carolina. Elmira’s offense is always dangerous and features multiple 50-point scorers. The FHL’s all-time leading scorer, Ahmed Mahfouz, leads the way with a 29-53-82 scoring line in just 37 games, while Stepan Timofeyev, who was recently named the FHL’s Rookie of the Year, has a 14-47-61 line. Sean Reynolds would likely have more points if he had not spent a few weeks on an SPHL call-up earlier in the season. As it stands, Reynolds has 53 points (26-27-53) in 39 appearances. Former Watertown Wolves Gavin Yates and Anton Lennartsson have been extremely productive since being traded to Elmira. Yates has 12 points in nine games, while Lennartsson has had similar success with 11 points over the same number of games. Yates is one of the fastest players in the league, and Lennartsson has given the Ice Breakers trouble with his massive 6-foot-5, 230-pound frame. Defenseman Glen Patterson provides a nice offensive boost from the blueline and needs just one more point to reach the half-century mark in scoring. Right now, Patterson has a 12-37-49 scoring line and will be available for this weekend’s series after serving a one-game suspension last Saturday. The Enforcers have a solid offense, but they also excel defensively. Led by workhorse netminder Troy Passingham, who has a 2.78 goals-against average to go along with a .926 save percentage, has compiled a 21-15-4 record. Backup Nick Niedert has proven he can be effective when needed and has a 4-1-0 record over five appearances. Both netminders are a big reason why the Enforcers have allowed only 2.88 goals per game, the second-lowest mark in the FHL. Last weekend’s action finalized the league’s four playoff teams as the Ice Breakers and Danville Dashers were both eliminated from the postseason. The only thing left to be decided is first-round matchups, as Watertown and Port Huron are separated by a single point. The Wolves are ahead of the Prowlers right now, but Port Huron holds two games in hand on Watertown. Awards season in the FHL arrived this week, and Carolina took home a ton of hardware. Forward Josh Pietrantonio was named league MVP, while Christian Pavlas took home Goaltender of the Year honors. Andre Niec was also named Coach of the Year. For the Ice Breakers, Mark Essery was named one of 12 players of the year. He is listed as a recipient of a Defenseman of the Year award, but has spent the entirety of this season as a forward. Mentor will wrap up its season next weekend with home games against Watertown, Port Huron, and Elmira on Thursday, Friday, and Saturday, respectively.